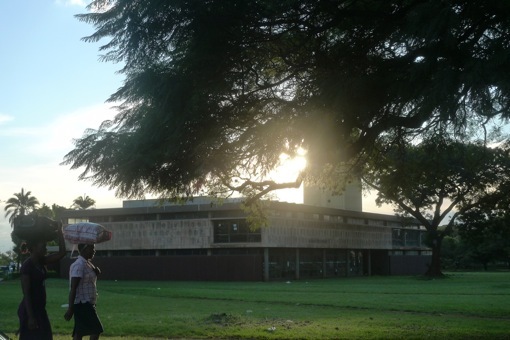 Harare National Library at sunset. Good article, the Western Press has been successful in painting not only Harare but other cities in a negative light. For instance Mumbai is viewed as unfriendly because the people dont say “thank you” instead they shake their heads like a cow and smile in appreciation. 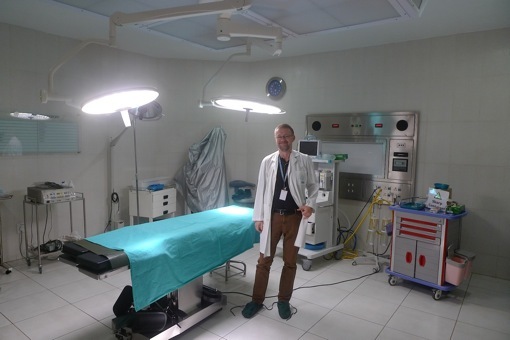 So it all depends on who is using the measuring rod. History would show that most revolutionaries , make So , so , or rather, average politicians, and Chavez, Castro, Mugabe, and even Mandela , are no exceptions.At the end of the day , we’ll see , how a Barrack Obama ,would play out. The bigger issue in Zimbabwe , is not solely Western orchestrated mayhem , but it is ripe for change. Mugabe ,has served his purpose, and to be quite frank, has outlived his political usefulness.It is only Afrikans , who can solve Afrikan problems, and so we wish them well, if they instead think,questionable leaders ,should die in office. I am more concerned about my T&T , and where it is going, under the stewardship of our own female revolutionary Prime Minister. Would she be allowed to lead from the front , in her own right , so as to form her own legacy? Only time would tell.We the civic minded , patriots ,wish her well! 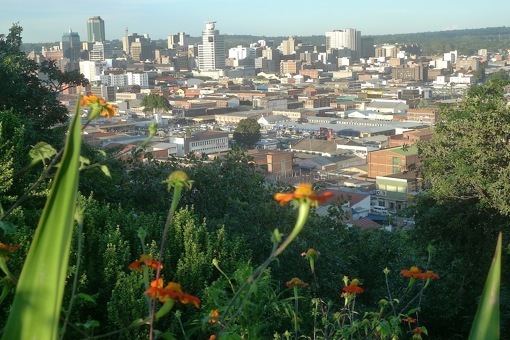 The conclusion that Harare , or any other Zimbabwian cities are the worst on planet earth ,is not as far fetch, as the crafty author ,might think, if we understand the context in which it is made. Like South Africa,it too has vast potential, and is ladened with human , and natural resources , and yet…. is a border lined failed state- irrespective of whether sanctions ,are percieved to be the cause. In like manner , I have often described twin partner Tobago , as the most backward island ,in the entire Caribbean region, and it’s not that I am ignoring Hati , or any more economically despicable places. It is more in keeping with the fact that T&T , is the richest , English Speaking country in the region, and yet…? Time for appreciation of perspectives, and redefinition of concepts. There is work to be done. The author made his case, but it ain’t mean – that though , very logical -he is correct. We must not oppose the west is the cry we live with but God wants us to put this “fear” out for he reigns. God bless the truth as it comes out. Lets stop the brainwashing and develop our societies. I trust this article is true. Since his party lost the referendum on the new constitution in February, President Robert Mugabe has been portrayed by the British government and media as a “man gone mad”. But has he? For obvious reasons, Britain has deliberately confused the two issues of land reform and economic difficulties in Zimbabwe. Yet the two issues are distinctly separate. Mugabe may have ruined his economy (and voters may or may not punish him for it in the coming elections) but, as Baffour Ankomah reports, any suggestions that the land issue will go away when Mugabe goes away, is a dangerous fallacy that Britain and its supporters are putting in people’s minds. The land question is an emotional issue in both Zimbabwe and Britain. It has always been for 110 years. In fact, it goes back to 1889 when Cecil John Rhodes (1853-1902) who made a fortune in gold and diamond mining in that area of Africa, helped extend British imperial interests there. Rhodes set up his British South Africa Company (BSAC) in 1889 after signing the so-called Rudd Concession the year before with the Ndebele king, Lobengula. “What for Lobengula was seen only as an agreement for the company to mine gold was interpreted by Rhodes as virtually turning over sovereignty to the company,” says the New African Yearbook, the sister publication of New African magazine. In 1890, Rhodes sent in an invading force of 200 white settlers and 500 armed men to take the territory. 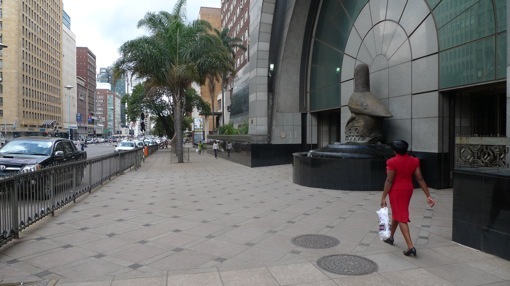 Calling themselves the Pioneer Column, they set up their capital at Salisbury (now Harare). Feeling hugely affronted, Lobengula went to war with the BSAC in 1893 and lost badly. As a result, he was made to forfeit his people’s land. 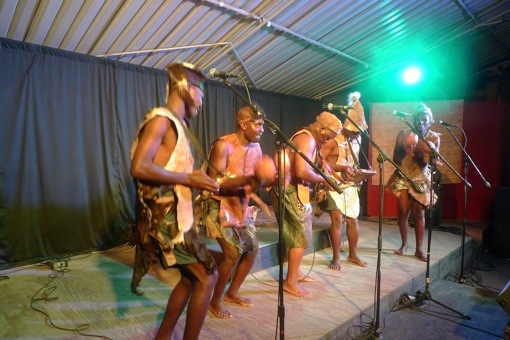 Three years later, the Ndebele were up in arms again, this time fighting together with their neighbours, the Shona, against the “foreigners” who had taken their land. This revolt, now called the first chimurenga (war of liberation ) by Zimbabwean patriots, was finally put down by Rhodes & Co in 1897, after much native blood had been shed (though few whites were killed). After that decisive victory, the settlers enacted a series of legal instruments to take more native land, (“grabbing” is the modern word for what they did). Interestingly, in the eyes of the British media, “grabbing” has today become President Mugabe’s middle name. In 1889, the Lippert Concession Act which preceded the actual occupation of Zimbabwe in 1890 encouraged the BSAC to buy concessions in Zimbabwe from the British government – the colonial overlord. The revenue was then repatriated to the British Treasury in London. The native population, the original owners of the land, got nothing! In 1898, another act, The Native Reserves Order in Council created the infamous Native Reserves in which black people were shepherded into reserves (much like the Europeans did in America and Canada with the native Americans). But Zimbabwe’s Native Reserves were set up haphazardly in often low potential areas which would later become the “communal areas” of today. Says the New African Yearbook: “The Land Apportionment Act of 1930 excluded Africans from that half of the country that contained the best farming land, despite the fact that Africans constituted over 95% of the population. This confinement to the poorest land accomplished the desired end of forcing Africans into the labour market. 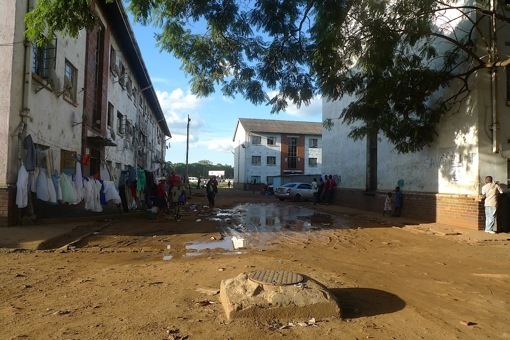 In reality, the Lancaster Conference did not resolve the land issue, it merely postponed it by inserting into the new constitution (which Mugabe recently tried, but failed, to change through the referendum), a provision requiring that land could only be acquired by the government on a “willing seller, willing buyer basis.” And that provision could not be changed for 10 years! It was a terrible provision – the sort that has kept much of the best traditional African lands all over that seaboard (from Namibia, South Africa, Zambia, Botswana, and Kenya) in minority white hands. It meant that Mugabe’s government could not acquire land “when” and “where” it wanted, because the white farmers were either unwilling to sell, or asked for higher prices. As a result between 1980 and 1990, the government acquired only 3.5 million hectares and resettled only 71,000 families out of a target of 162,000. – 1,000,000 black communal areas families are still farming the poorest lands (16.3m hectares in all) – each family sharing an average of 3 hectares. – 4,000 large scale white commercial farmers (with an average of 2,000 hectares each) still dominate the scene (occupying 11.2m hectares), in a country where the single largest foreign exchange earner is agriculture. – 10,000 small scale commercial farmers (mainly black) occupy 1.2m hectares. – 70,000 black resettlement families own 2m hectares. – State farming sector, 0.5m hectares. When the 10-year “willing seller, willing buyer” mandatory period expired, Mugabe’s government passed the Land Acquisition Act of 1991, which allowed for acquisition of land when and where the government required. The Act was intended to speed up the land redistribution programme through land designation and compulsory land acquisition. But the government did not have the money to pay for the exercise. The British government, which had contributed £30m to the exercise (British papers are quoting £44m), withdrew its support claiming that Mugabe was giving the land to his “cronies and political allies”. It would be a major destabilising factor for any country, even for Britain which is stridently against Mugabe’s attempt to right this historic wrong. In no way will the people of Britain accept the control of nearly 50% of all land in the UK by an ethnic minority group which makes up less than 1% of the population! It would happen only over the dead bodies of the British! Thus, natural justice demanded that Mugabe’s government did something about the land issue – 20 years after independence! In November 1997, Mugabe’s government, smarting under political pressure from the black population, was moved to act by announcing that land would be acquired compulsorily for redistribution. Even here, it was made abundantly clear that: “It is not the intention of the government to drive commercial farmers off the land… No farmer will be without land in Zimbabwe. Even those farmers whose properties are designated by reason of their proximity to communal areas will still be invited to select from other properties elsewhere,” the government said in an official statement in December 1997. – Derelict land or under-utilised land, ie, land undeveloped by farmers and lying fallow. For example, if a white farmer has 2,000 hectares and is only actively farming 1,000 hectares, the 1,000 lying fallow will be acquired by the government. – Land owned by absentee or foreign landlords (mainly British, some of whom are former and current members of the House of Lords in London). – Land owned by farmers with more than one farm. – Land contiguous on communal areas. – By July 1998, Mugabe’s government had bought 3.5 million hectares for resettlement purposes, and compensation had been paid. Not a single piece of land had been seized without compensation. – The oft-repeated fact that Zimbabwe is heavily dependent on the output of white farmers, is balanced by the equally important fact that black small-scale farmers now produce 70% of the country’s maize, cotton and groundnut output. In 1986, the country’s small-scale farmers were awarded the Freedom and Hunger Prize for their efforts. – Studies conducted by the World Bank have shown that large-scale commercial farmers have utilised less than half of the 11.2m hectares of land owned by them. The rest lies fallow. – That, some white farmers have two, three, four or five farms. “There is one farmer with 10 farms. And another with 18 farms,” says the Zimbabwe high commission in London. Last year, the Commercial Farmers Union freely offered some 1.5m hectares for resettlement. The government estimates that it would need US$1.1 billion for the land reform process – to cover land acquisition, land development, infrastructure and services such as roads, water supply, first crop tillage, schools, clinics etc, and farmer support and credit. In early April, the Zimbabwe parliament went ahead and passed an amended constitutional provision authorising the government to acquire land for redistribution without paying compensation. The provision envisaged compensation to be paid by Britain (which pocketed the revenue from the land acquisition by Rhodes’ BSAC in the 1890s), but London has said it won’t pay any compensation. As the situation has fast deteriorated into nationalistic (some say racial) positions, and more white farms have been “invaded” by blacks (usually singing and dancing as they move into the farms), America has suspended assistance to Zimbabwe’s land reform programme. Not that it matters – despite promising 20 years ago to help, America has so far contributed only $1m to land reform in Zimbabwe. At the time of going to press, the European Union was expected to announce its own measures against Zimbabwe, and Nigeria’s president, Olusegun Obasanjo, was trying to mediate between Harare and London. This same thing is going on right here in T&T with our natural resources – who go dare stand up against them? In the eyes of the international Western media, Robert Mugabe is the most controversial political leader of an African country. The president of Zimbabwe has backed agrarian land reforms that stripped thousands of white farmers, who benefitted from the colonization of the nation, of their land and returned it to the people – to the dismay of Western governments, colonizers and the Western media. Robert Mugabe was once a darling of the West, a Nobel Peace Prize nominee, knighted by the Queen in 1994 and awarded several honorary doctorates from established institutions in America and Europe. I was intrigued to find out at what point did the West’s relationship with Mugabe turn sour. Land reform was completely necessary; some criticize Mugabe for taking almost 20 years to do it. Others criticize the methods by which land redistribution policy was implemented.